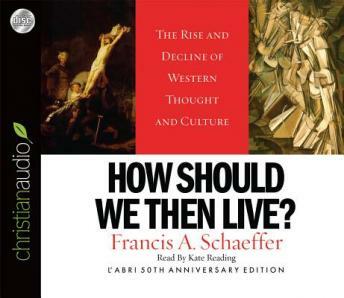 As one of the foremost evangelical thinkers of the twentieth century, Francis Schaeffer long pondered the fate of declining Western culture. In this brilliant book he analyzed the reasons for modern society’s state of affairs and presented the only viable alternative: living by the Christian ethic, acceptance of God’s revelation, and total affirmation of the Bible’s morals, values, and meaning. How Should We Then Live? has become the benchmark for Christian worldview thinking today. This edition commemorates the 50th anniversary of L’Abri Fellowship, founded by Francis and Edith Schaeffer.